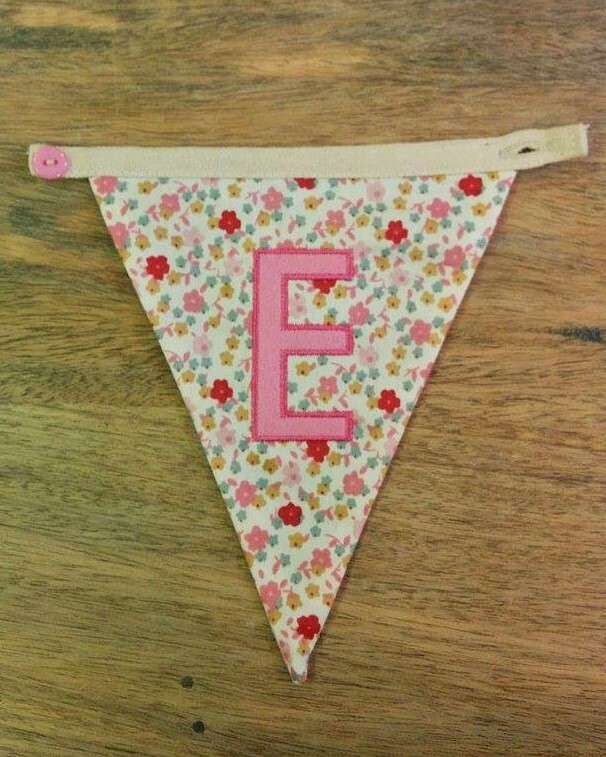 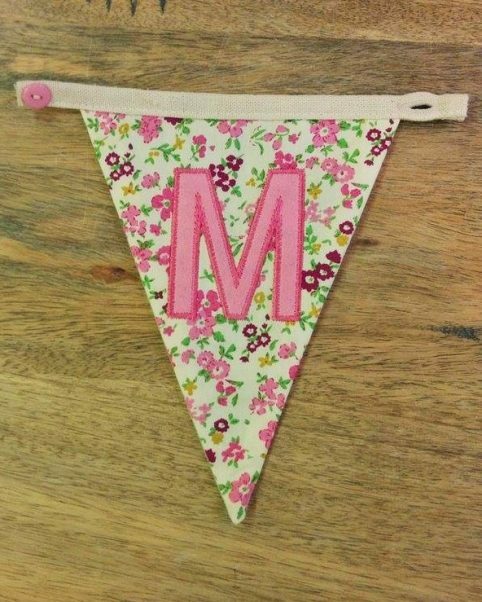 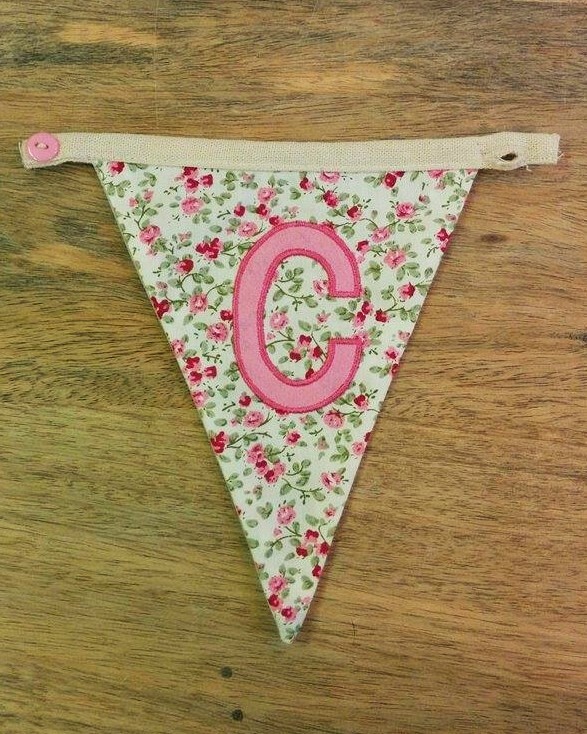 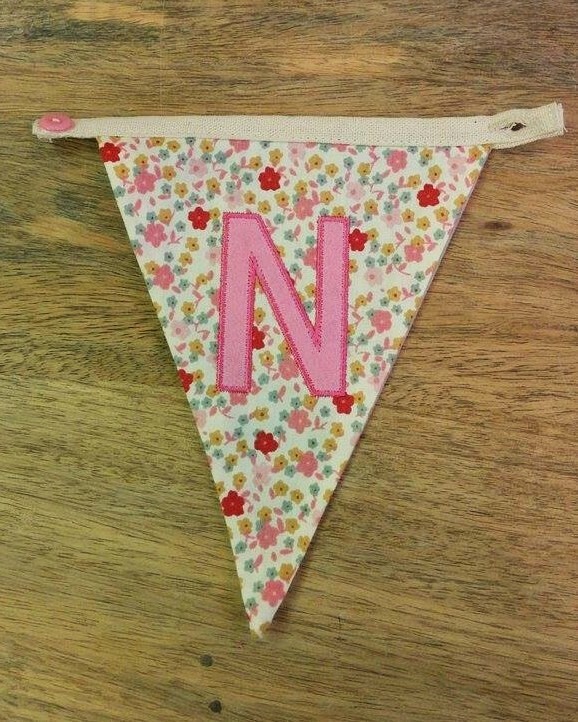 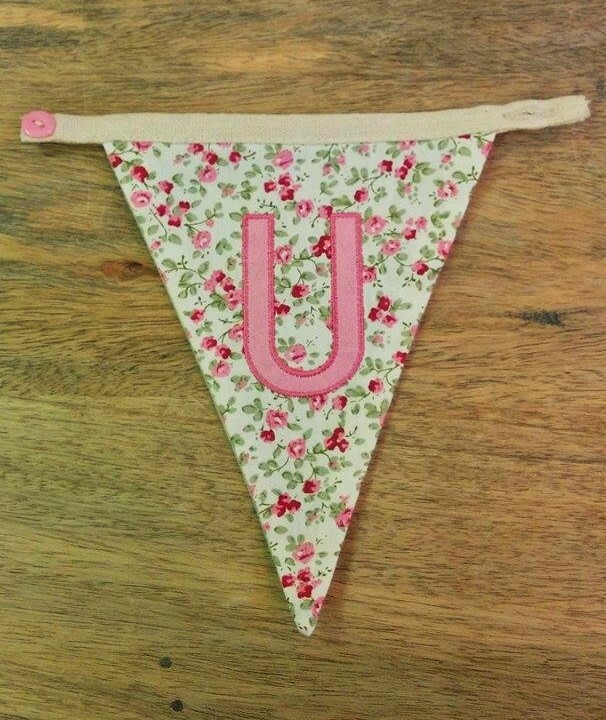 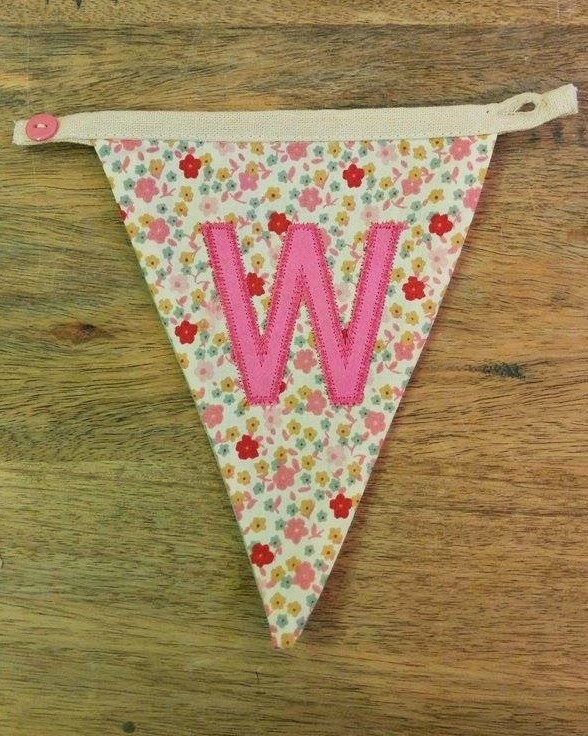 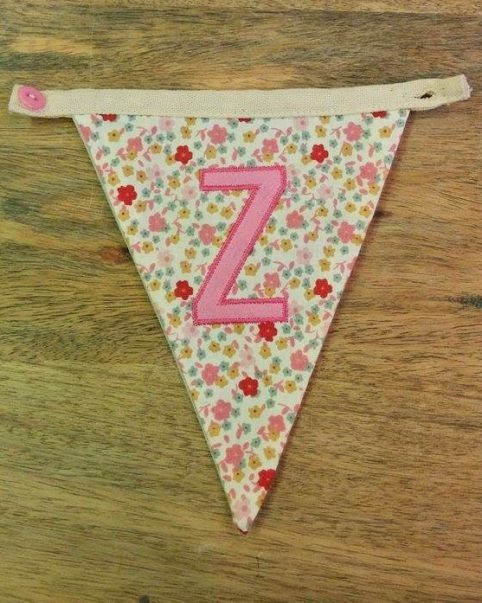 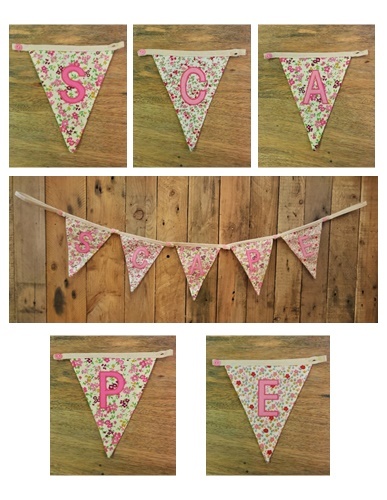 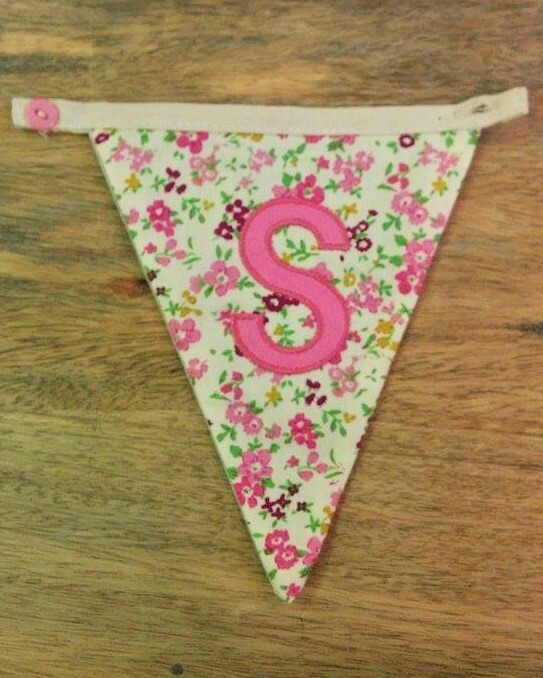 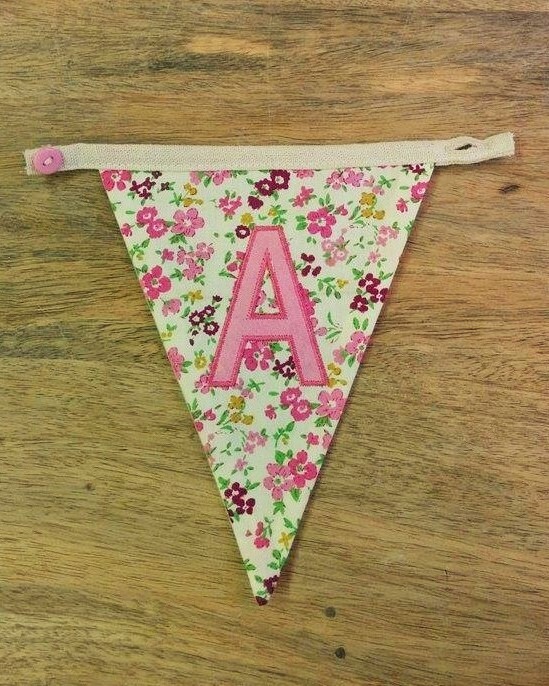 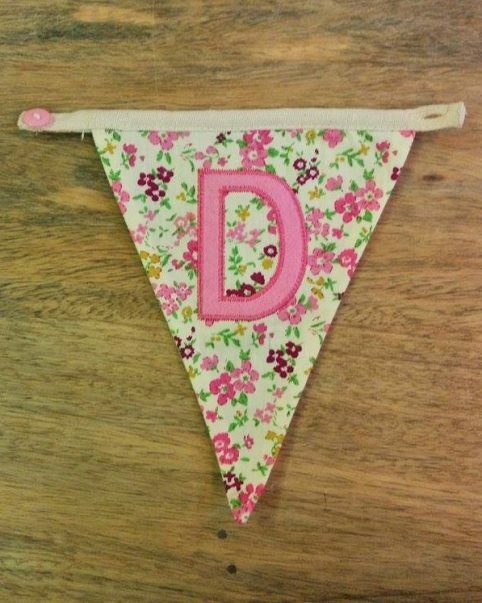 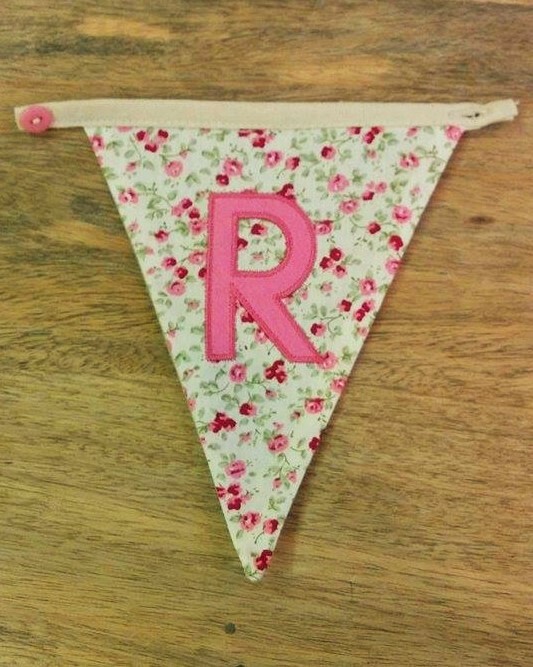 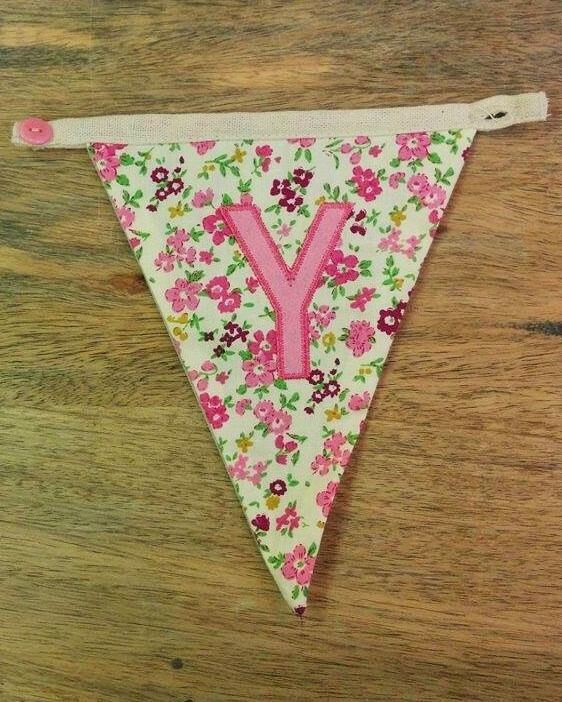 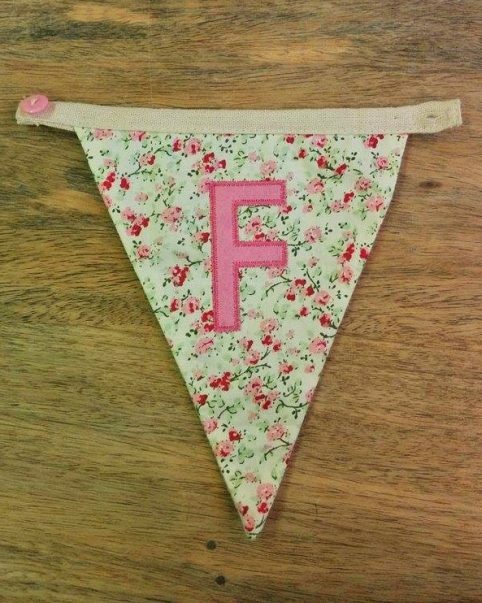 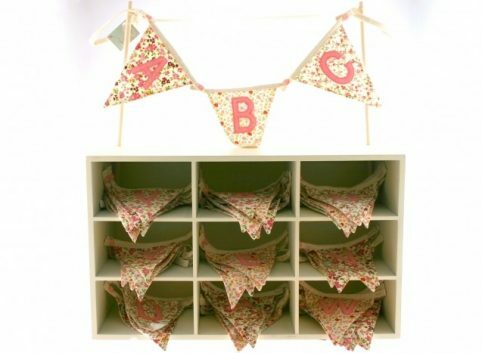 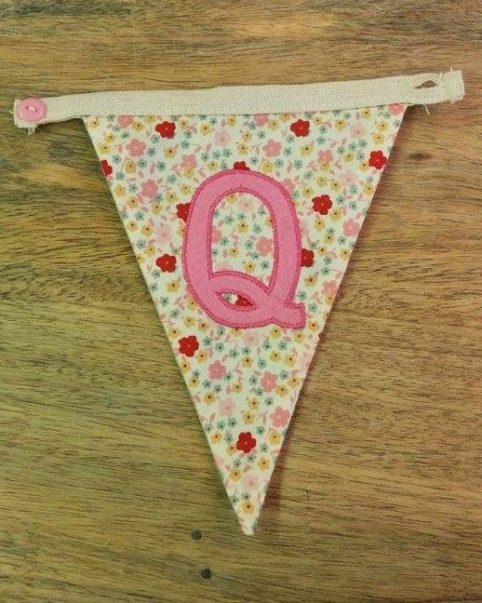 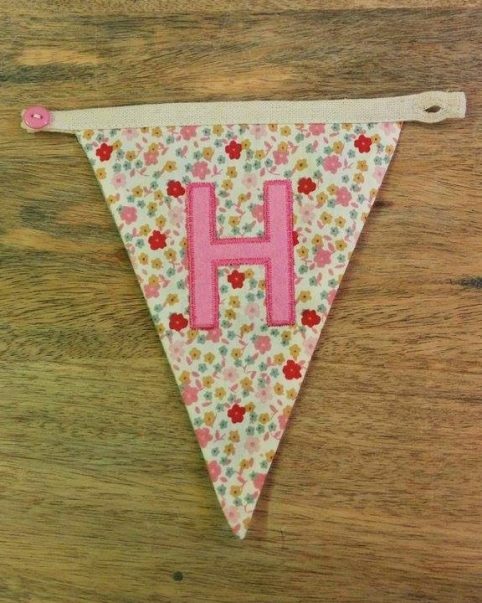 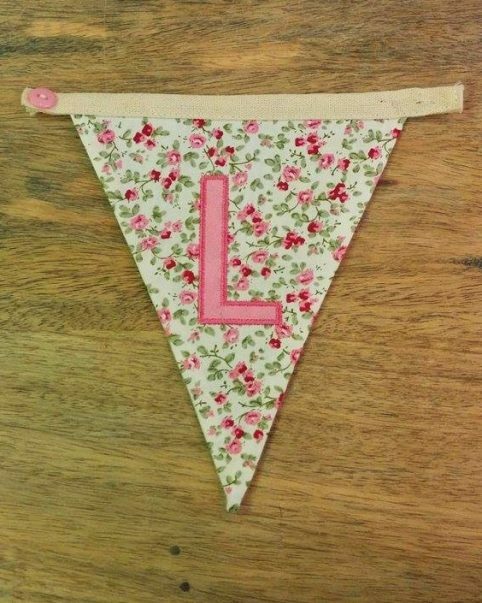 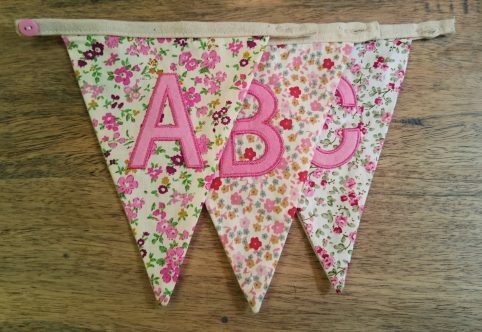 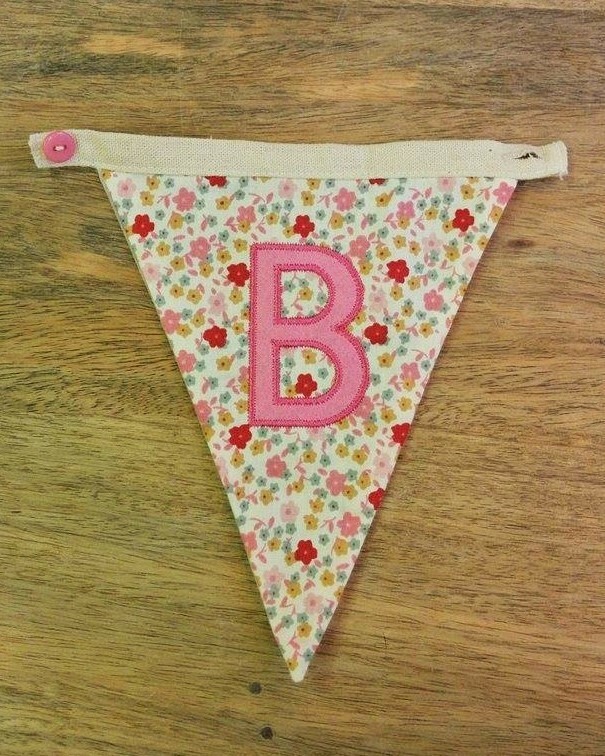 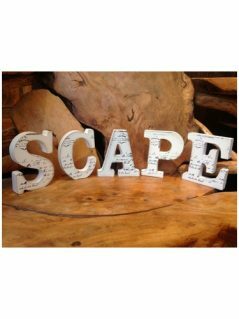 These lovely fabric bunting letters can be personalized with any message you want. 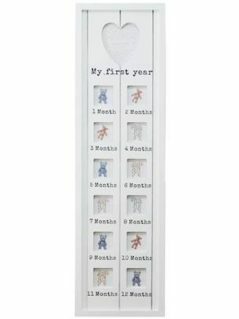 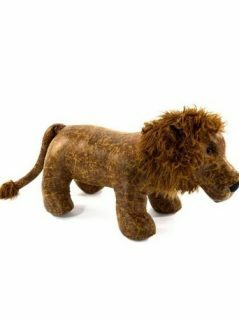 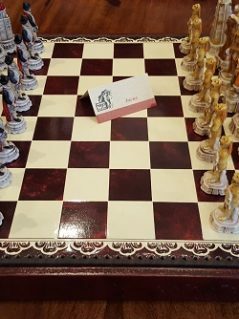 They are a special decorative present for toddler’s bedrooms or even for special events like baby showers, christenings, birthdays, weddings and all other festive occasions. 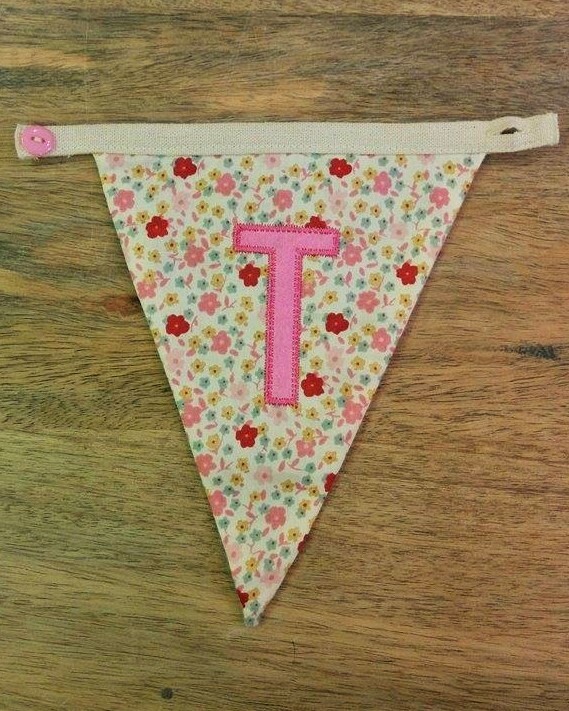 They come in pink and cream with pastel floral background in a vintage style. 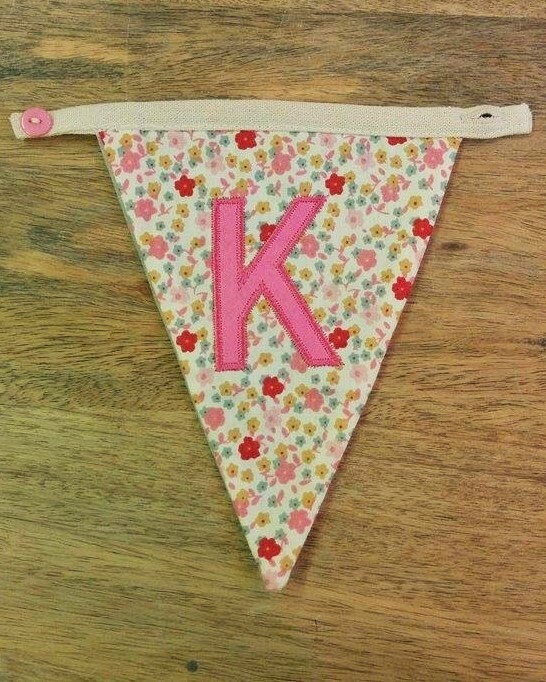 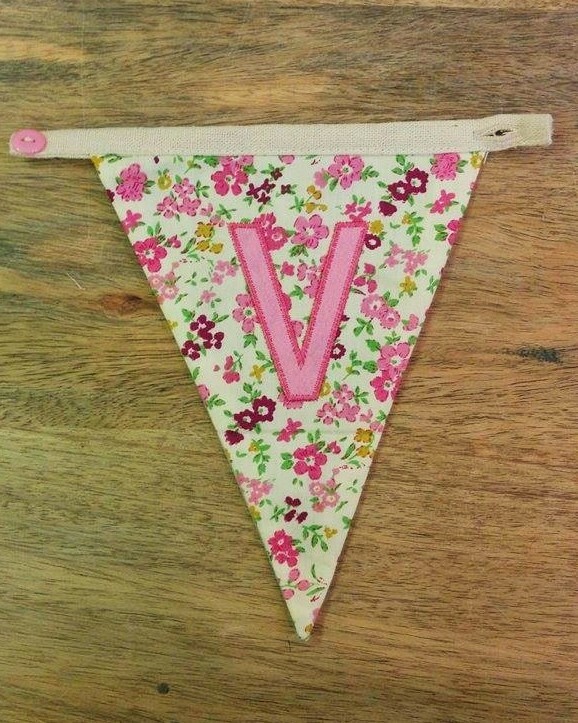 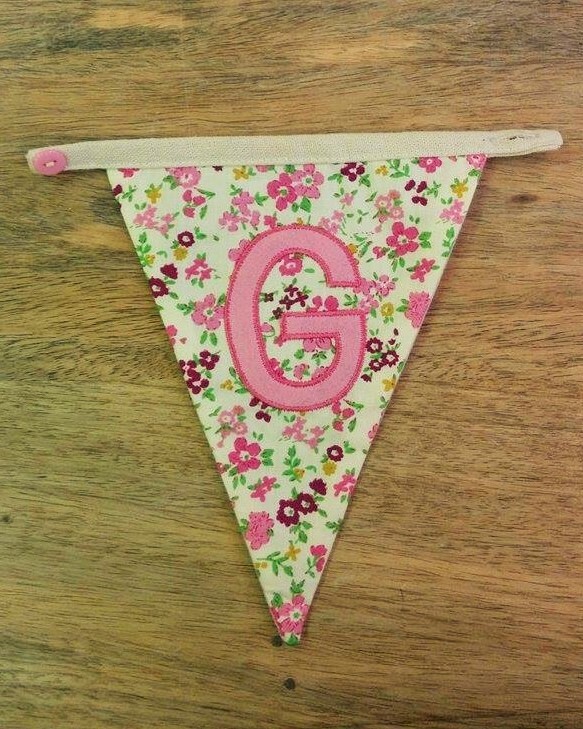 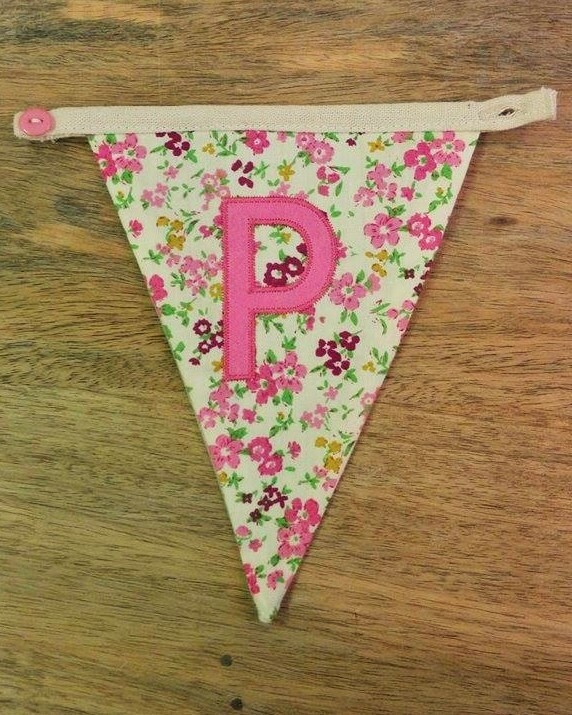 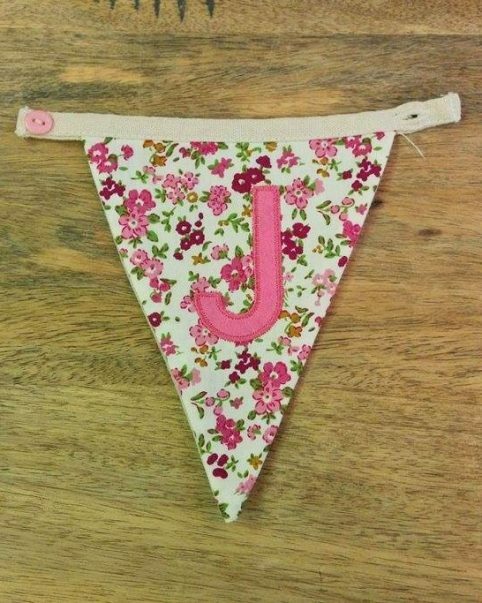 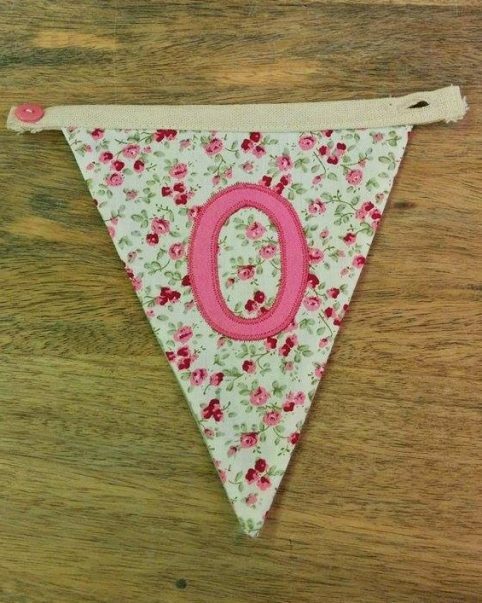 Each bunting has a different background within three different designs, depending on the letter you choose. The A, B and C letters represent the three different designs you can have. 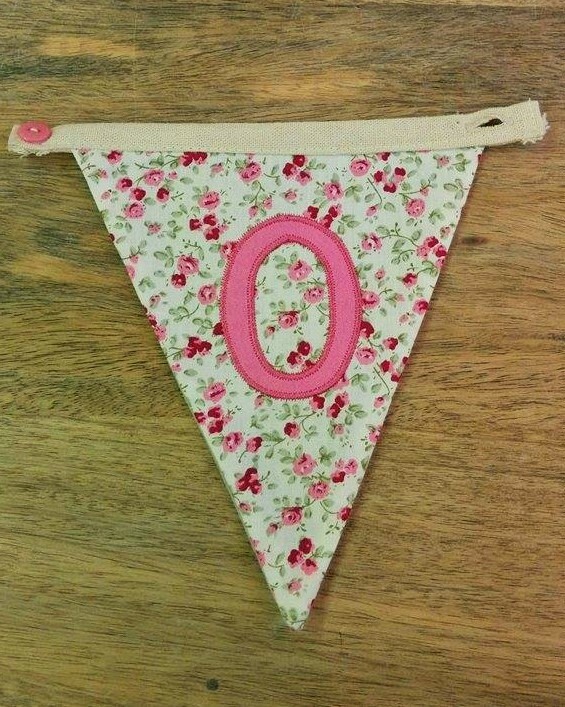 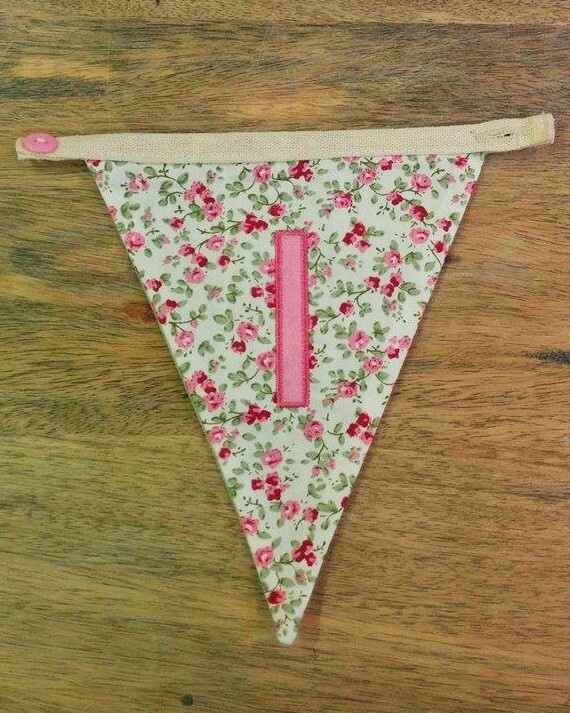 Each bunting letter has a button on the left and a hole on the right, allowing them to be hung together as a banner. A pair of ends is also available to tie them up wherever you prefer.